A Keizer family of 10 won’t be in its home for the holidays after an attic fire spread through the house causing more than $100,000 in damage. 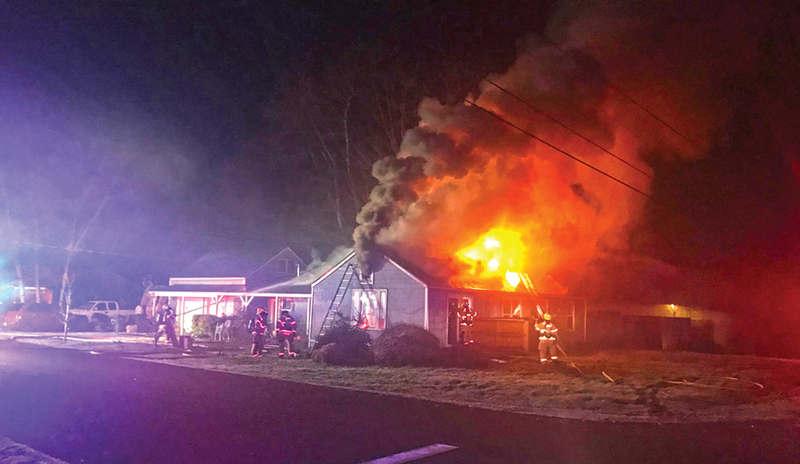 Keizer Fire District responded to the 4000 block of Gobert Ave., NE with a battalion chief, four engines a medic unit and chief officer on Saturday, Dec. 9 at 5:19 a.m. to find a well involved fire venting from the roof. The father and seven of his children, ages 4-20, had evacuated and found shelter in a fifth wheel trailer. The mom and their 16-year-old daughter were at Doernbecher Children’s Hospital in the ICU with diabetic ketoacidosis. The girl has since been released. Neither the family, who was renting the house, nor the home’s owner had insurance. A family friend started a gofundme page. To donate, go to gofundme.com/support-jennifer-and-jason-craig.